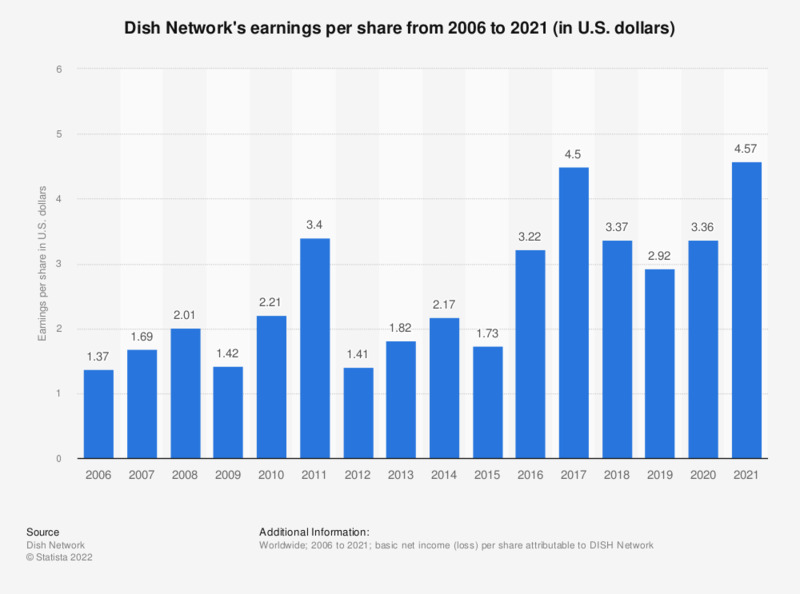 This statistic contains data on Dish Network's basic net income per share of from 2006 to 2018. In 2018, the U.S. satellite provider reported earnings of 3.37 US dollars per share of common stock. Figures prior to 2013 come from Dish Network's earlier financial releases. Statistics on "Satellite television in the United Kingdom (UK)"
Does your household receive television via...?